LMR & Associates offers significant experience in helping our clients resolve disputes with the IRS. Instead of attempting to deal directly with the government on your own, let the experts help you minimize the problem and save you time, resources, and emotional stress. In what can often be a confusing, adversarial process, our team can assist with clearing the dispute in a timely manner with as minimal impact as possible. Whether you are required to file back taxes, need representation for preparation and during an audit, eliminate tax liens and levies, end wage garnishment, and much more, we are your first and last stop for resolution in an accurate and cost-effective way. A tax audit notice from the IRS is serious and requires your immediate attention. We can help. Our team will address your individual situation by explaining what an audit means and the potential impact to you or your business, reviewing possible next steps and determining the best course of action, providing answers to any questions you might have, and representing you during the audit process, if necessary. With decades of experience, our tax professionals will work for your best interests and resolve any discrepancies in a quick and fair manner. Not every year goes smoothly when you’re completing your own taxes. If you were unable to file taxes during a particular year for reasons such as misunderstanding paperwork, missing or lost forms, or financial difficulties, let the experts at LMR & Associates help you submit any missing paperwork including delinquent returns, and work to minimize any tax penalties you may owe. Once the IRS has taken action against you, it is important to resolve the dispute in a timely manner to avoid paying any extra interest or charges that may accrue. Let our team work with the IRS on your behalf to avoid any continued significant impact such as a lien on your assets or seizure of personal property to satisfy the debt. We can help develop a reasonable payment plan, and in many cases, negotiate a reduction in your overall tax debt. The IRS will employ a number of means to satisfy and collect debt they believe you owe. This includes garnishing a percentage of your wages until the amount is satisfied. 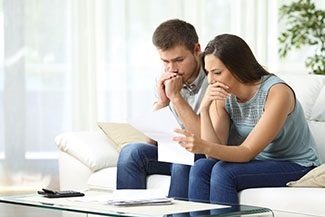 If the government has already started garnishment, or you have been notified that they will begin to do so, it is critical that you contact us as soon as possible. We can help with verifying that the amount owed is correct, and work with the IRS to develop a financially reasonable payment plan. In many circumstances, the IRS is willing to accept less than the full amount owed for a tax debt. Our professionals have the experience to determine if you qualify for an offer in compromise (OIC), prepare the necessary documentation to apply, and negotiate with the IRS for the minimum payment required to resolve the dispute. There may be situations where you file a tax return, but lack the funds to immediately satisfy the amount owed. We can help you develop an installment agreement with the IRS that allows you to satisfy the debt over a period of time and avoid costly interest and late-fee penalties.